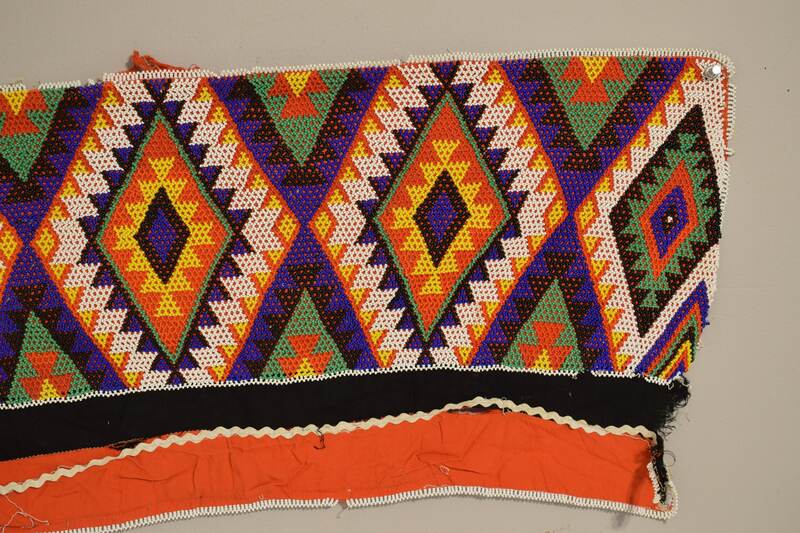 This is a wonderful Vintage Zulu Colorful Beaded Panel from South Africa. For many Zulu beaded jewelry, garments, and other accessories became important markers of identity. 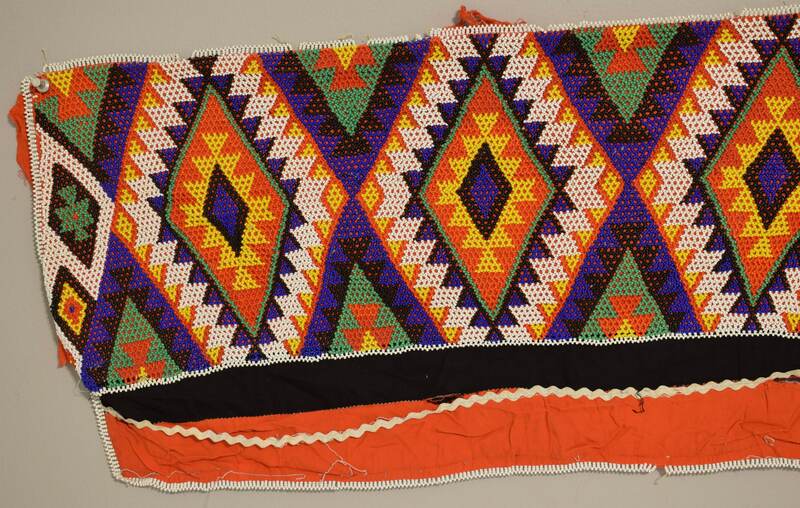 Beadwork was a visual marker of social position, marital status, ethnic affiliation and location of the family’s homeland. 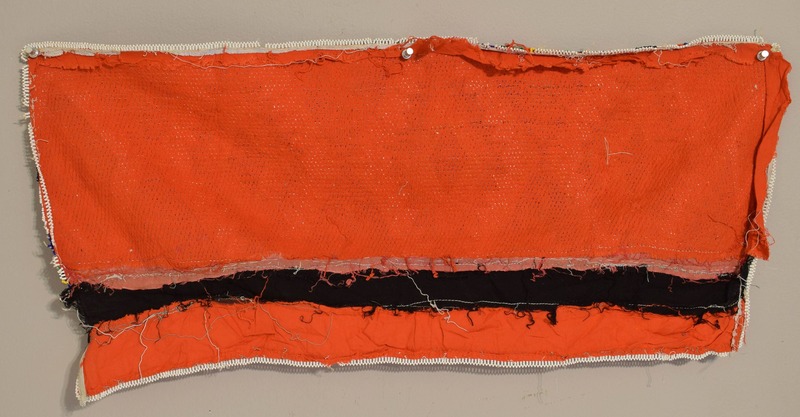 Woven grass belts worn by Zulu women identify the wearer as a married woman with children. Zulu beadwork has been valued as currency, as decoration, and as a marker of identity. Beadwork became a status symbol and an important item of personal expression as well. 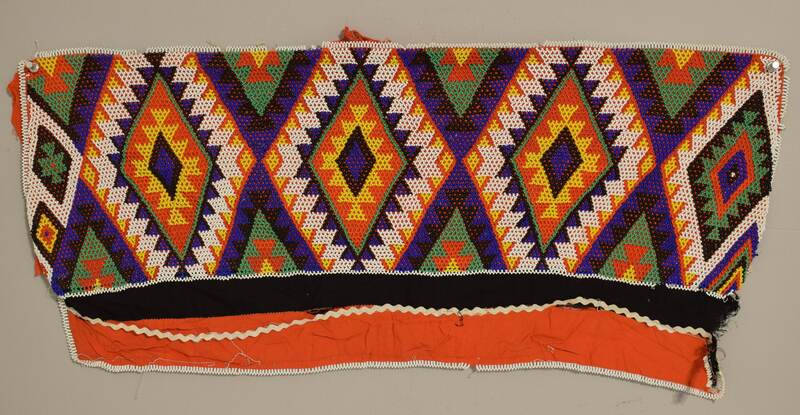 Stylistic variations of beadwork such as pattern, color and color sequence indicate area or group affiliation. Colors and patterns take on more personally expressive meanings. Recently beadwork has become a symbol of political identity as well, with color and pattern indicating political affiliation. This is a lovely old beaded Zulu panel would be a great addition to your collection or home. Shows age, loose beads and missing beads, but overall in good condition. Collectible and hard to find.